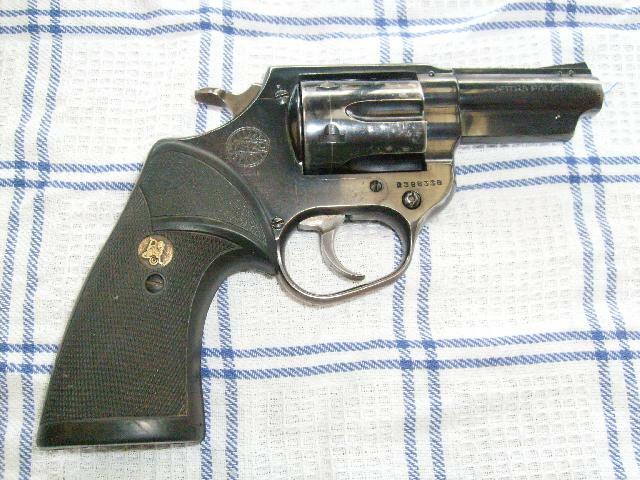 The Astra Police is very similar to the Astra 357 -- just another Spanish Smith & Wesson clone. The cylinder crane is held in by a spring loaded plunger, not the front frame panel screw as is normally the case. 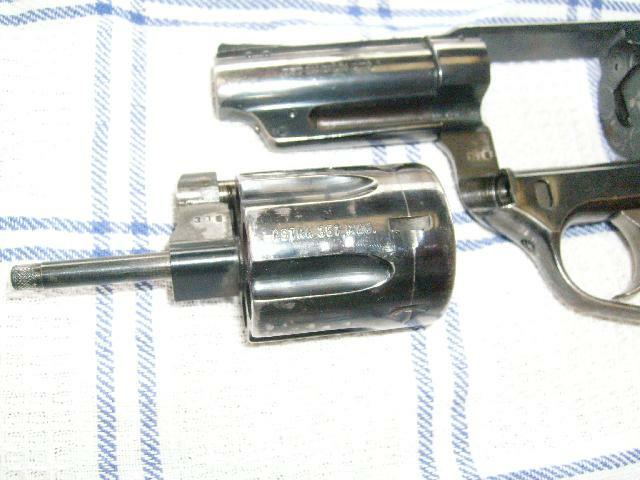 This means that the cylinder can easily be removed and swapped -- the Astra Police was available with cylinders for 357 Magnum, 9mm Parabellum, and 357 SIG. Unfortunately this one came with the one cylinder only. This is my silhouette load, 12.5 grains of S265 behind a 190 plain base. The sights are rudimentary -- just a slot on the top of the frame. But I shot this the morning after driving down from Johannesburg, that's my excuse and I'm sticking to it.